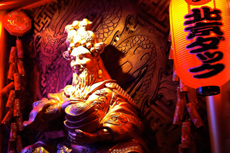 People feel as if they are visiting China once they enter the restaurant. 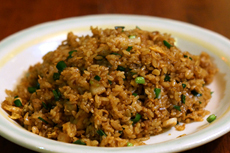 All of our chefs are from China and are experienced in cooking traditional dishes. 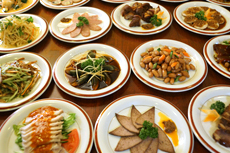 They can carry you on an amazing food trip to China with our specialty, Peking Duck and over 300 varieties of local dishes. 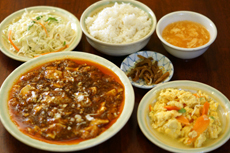 You will also be amazed to know how affordable the dishes are. Many people choose to hang out with their friends and drop by our restaurant, and this kind of atmosphere surrounds us for 24 hours! Some people ask us “Can you change the flavoring according to Japanese taste?” –”No we can’t.” Food represents its culture! 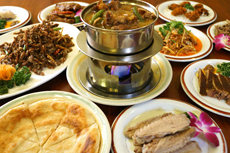 We try to offer you the authentic Chinese local taste as much as possible. 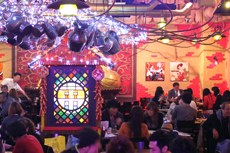 It would be our pleasure when you can feel as if you are making a trip to China and enjoying the local taste! Big city never sleeps. You might want to go for a drink if you are working the night shift. Or if you have overseas customers, you might work late at night to manage time differences. You can visit us any time to enjoy our food. We are open 24/7! 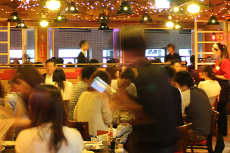 We believe our open and lively atmosphere will increase your enjoyment at table. That is why we don’t have private rooms. The restaurant is full of laughter and amusing conversations (sometimes shouts…) of our guests. Please accept our apologies for too much atmosphere. (You sometimes cannot hear what your friends said at all!”) Let’s try to speak out and indulge in the excitements here! ※We have semi-private compartments at each branch. Please let us know when you would like to have a quiet space. You may feel as if you are in the overseas market. 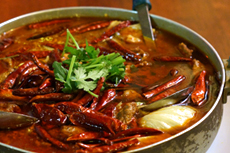 What do you think is the real pleasure of the Chinese food? It is so satisfying to see the table full of dishes and enjoy them with a lot of friends. Here you can get everything at an affordable price. 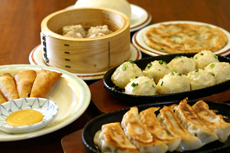 We offer a dish of boil dumplings for only \150〜, quick starters for \280〜 and lunch set for \580. But watch out for ordering too much. You will get big portions even though they cost too little! We value food security above everything else. Most vegetables we use are domestically grown and we cook only ingredients which meet our safety standards. Chinese cafe Eight never cooks with lard and shortening. For cooking oil, we do use vegetable oil for professionals which meets standards of food with nutrient function claims by Ministry of Health, Labor and Welfare. We also have been creating healthy and tasty menu together with our registered dietitian.